Welcome to Nuttin Butter Cookies! As a child I've always had a passion for cooking and baking. Following in the foot steps of my Grandpa, who was a Chef and restaurant owner. Using my Great Great Grandmother's Peanut Butter Cookie recipe, I started creating baked goods in 1995 and have been ever since. When your feeling overwhelmed with life and need a stress reliever, there is nothing that will make you feel better instantly than a Scratch made, fresh baked cookie to put your mind at ease and bring positive vibes back into your day. The warm aroma of brown sugar, vanilla and nuts roasting filling the air of these fresh baked goods, intoxicates your senses as i whip up a bite of heaven in your mouth. Nuttin Butter Cookies specialize in gourmet cookies. As a small batch one woman Cottage Food Operation business, established in 2015. I strive to deliver flavorful, high quality cookies that are affordable. 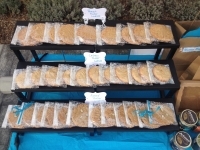 The ONLY scratch made to order fresh baked gourmet cookies that features a wide variety of Raw Organic California Nut Butters. Such as Peanut butter, Pistachio butter, Pecan butter, Cashew butter, Coconut butter, Almond butter, Walnut butter, Macadamia butter, Hazelnut butter, Brazilnut butter, Chestnut butter and Pinenut butter. Indulge in a cookie that is nutrient dense, high in protein and fiber. Each batch of cookies start with the same base ingredients and a few tweaks i added to make each cookie dramaticly different in appearance, texture and flavor. Giving a new way to "WOW" your taste buds. Baked daily in my Certified Home Kitchen located in Berkeley. Cookies are individually pre-wrapped in BPA free, food safe cello bags to perserve the quality of each cookie. All funds raised go towards my Mobile Bakery Dessert Truck, Coming Summer of 2018! I took my two favorite snacks nuts and cookies creating my own original recipes. Nut lovers and Cookie cravers with a sweet tooth looking for something different, you came to the right place to find the most addictive cookies you will encounter in the Bay Area. Cookies that truely embrace the NUT as the main ingredient and star of the cookie. With just the right amount of sugar, hint of salt and full nuttiness in every bite. Serving Alameda County NON GMO ingredients. 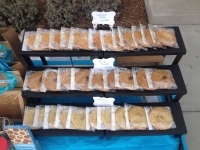 Fresh Baked Cookies available at my Outdoor Pop-up Bakery location. 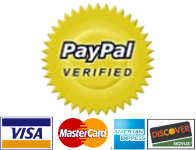 Call for order pick up or have your order deliveried locally in Berkeley, CA within 5 miles.